It’s no secret – building mobile apps is a challenge, and growing the number of highly engaged users is no easy feat. In order to grow a successful business on mobile, you’ve got to overcome the challenges. You have to figure out what to build yourself, how to send helpful (not annoying) notifications, and which risks are worth taking. There’s no doubt that it’s tough. Thankfully, Andy Carvell, co-founder and partner at Phiture Mobile Growth Consultancy, creator of The Mobile Growth Stack, and SoundCloud alum, has helped countless companies overcome these challenges. Using his experiences in mobile growth at SoundCloud, Carvell has built a successful business around helping companies win more mobile users. He’s well versed in mobile marketing automation, lifecycle campaigns, and data-driven user communication strategy. Carvell shares his sage advice on how to overcome the most common challenges to mobile growth — and it’s worth a read. Everyone seems to have a formula for sending impactful notifications for a mobile app, but many of them are unnecessarily complex. Carvell’s solution is refreshingly simple, offering an equation that helps mobile marketing teams understand how their efforts contribute to the greater goal of getting more people to use the app. How often you can send out notifications (FREQUENCY). For example, when Carvell worked at SoundCloud, he studied the impact of different notifications based on reach, relevance, and frequency. SoundCloud’s “new track” notification had very high reach – and it was highly relevant because the user had already expressed a preference for that artist. The frequency was variable depending on which artists were being followed, but it still had a much higher frequency than a new playlist notification. Engineering-oriented companies are notorious for wanting to build everything themselves. Because the in-house engineers are smart and savvy, it makes sense that they can and should build everything for your product. You can essentially build whatever you want and replicate whatever is in the marketplace. But this doesn’t always make sense. Companies often try to build out technology and solutions that already exist — and it winds up being a waste of time. According to Carvell, it’s pointless to try to duplicate many solutions in-house, especially if they’re not deeply tied to your value proposition. Too many companies lose momentum trying to reinvent the wheel. Resolution: Use solutions that are already in the marketplace, and focus on improvements that are deeply tied to your value proposition. We all know what it’s like when technology annoys us. We receive emails, text messages, and notifications that we don’t care about. It’s enough to drive a person insane. Even so, mobile growth teams are very aware of the ramifications of sending irrelevant communication — and they’re often so afraid of annoying users that they aren’t willing to notify and nudge. Unfortunately, if you’re not willing to take a risk, it’s going to be very tough to grow. You absolutely have to put the fear aside and test out notification strategies in order to figure out what moves the needle. Resolution: Say something relevant and timely. “It should be personalized to the user, and the user can instantly see that relevance,” explains Carvell. Every organization claims to love testing and learning from data. It’s so ubiquitous that the term “data-driven organization” has basically become meaningless. How many mobile companies actually conduct meaningful experiments — and iterate based on results? When so many mobile growth teams are afraid of annoying their users with experimental notifications, it becomes nearly impossible to conduct tests. After all, mobile growth teams don’t want to lose their most engaged users because of a simple test. But what if you tested groups of new users? According to Carvell, new users are likely to churn anyway. It’s simply the nature of mobile users. New users represent the ideal testing ground, and you can try out any wacky test that has the possibility of creating statistically significant results. Anything you can do to drive growth in a positive direction is worthwhile. And new users offer a great opportunity for learning. Resolution: Start testing with a small group of new users. According to Carvell, you can minimize the downside of a failed experiment by using the RRF framework to think about what notifications are likely to have the most impact. When we talk about mobile notifications, we often think about the banners and icons that appear on iOS and Android devices. However, a user can be notified via email, text message, or another channel altogether. You want to create notifications that are channel-specific, and also figure out what your user base appreciates. Some audiences might like to get notifications in the app itself, while others prefer emails. You can also put the user in control, and ask them to opt in and out of each channel. Resolution: Build messaging for each channel, and ask users to opt-in themselves. Putting the user in control of their own notifications will allow them to tailor what they receive based on their preferences. Your users share one thing in common: they all use your mobile app. But that doesn’t mean they have the same preferences. It doesn’t mean they want the same types of notifications. You can figure out where your users hang out and do your best to understand what they’d appreciate. However, according to Carvell, you’re much better off building a system that adapts to each user. Most people will really appreciate a system that adapts to their behavior and adjusts accordingly. For example, if a user isn’t opening your emails, stop sending emails. If they are interacting with every push notification, send more push notifications. 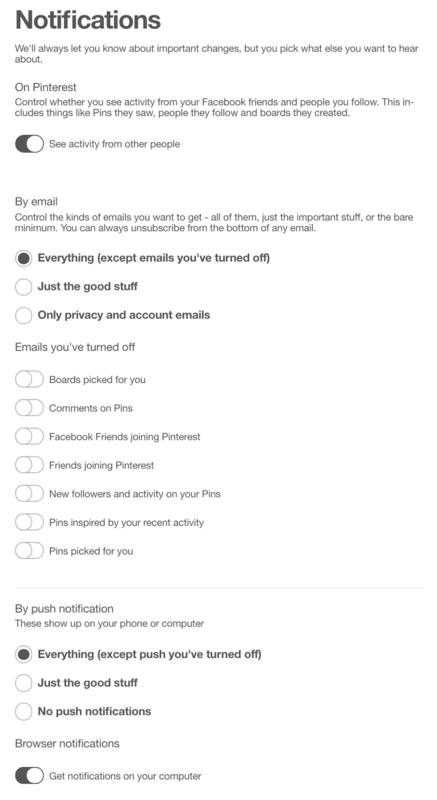 Resolution: Rather than asking users to fill out lengthy notification preferences, put users in a system that adapts. For example, if a user never opens emails, automatically unsubscribe them. What’s your product’s the core value, and how do you get the user to experience it more often? 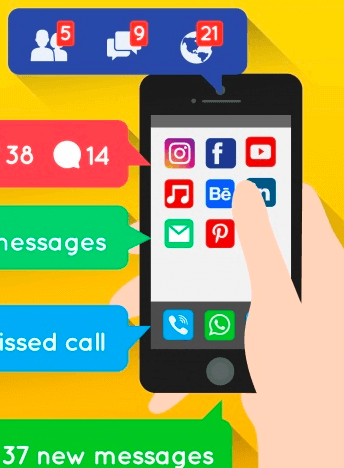 Contrary to popular belief, not every app needs users to interact with it on a daily basis. For example, you wouldn’t book a flight every day. But a flight booking app wants its users to have them top of mind when it’s time to book an airfare. Carvell says that it’s essential to understand your category’s unique retention profile and adjust your strategy accordingly. Resolution: If your app isn’t something that will be used on a daily basis, then it’s your job to remind users that you exist. “Don’t forget to tap users on the shoulder to remind them you’re available,” says Carvell. This is also where content can come in handy — you can create new content based on a user’s tastes, even if they’re not using your app every day. In order to turbocharge mobile growth, you have to send the right messages to the right people at the right time. Carvell’s secret is simple: tell all the users in your ecosystem about something they might be interested in, and create an engagement loop. For example, if you followed one artist on SoundCloud, you’d begin to get notifications that have to do with that artist. These notifications impact anyone interested in that artist — they’re delivered to new users, reactivated users, and regular users. Resolution: Think about how you can send the right content to the right people at the right time — and how these notifications can create an engagement loop. Andy Carvell is the co-founder and partner of Phiture Mobile Growth Consultancy and creator of The Mobile Growth Stack. At Phiture, Andy works with companies all around the world, helping them apply the mobile growth stack and take a strategic approach to growth. Andy is a Full-Stack Marketer and Mobile Expert with a deep interest in technology, strategy and idea execution. Andy spent over 4 years working in mobile growth at SoundCloud and has 16 years of experience in the mobile industry with a proven track record in delivering a range of mobile products and services worldwide.